Taronga Zoo’s Carnivore Unit is focussed on animal husbandry and management. Twelve carnivore species are cared for ranging from Meerkats to Sunbears. The primary focus of staff is on providing high levels of animal husbandry with regards to exhibitory, diet and enrichment as well as providing high level animal management in terms of behavioural, health and reproductive requirements. Animal husbandry routines make up approximately 80% of the carnivore keepers day. During this time the keepers are cleaning exhibits/ holding facilities, preparing/ providing daily diets, making and providing enrichment, performing maintenance tasks and various other duties to provide high levels of animal husbandry and health care. Once all animal husbandry duties have been performed, staff generally have approximately one hour during the day for other work such as attending meetings, administration work and training. The Carnivore Unit is not considered to be an ‘animal training unit’. Due to time constraints, most training is incorporated into daily work routines eg Frontline® is applied in the morning when feeding the Red Pandas or Binturong. All of the essential training outlined in this talk was performed by a single keeper taking from 1 – 10 minutes daily. Where more complex behaviours are required, two keepers attend the training session for 10 -15 minutes. During the presentation you will discover the how and why of training of co-operative care behaviours of Carnivores eg. training different species to accept handfeeding, weighing, den conditioning, Frontline® and Revolution® application as well as specialised programs such as ultrasound training for Sunbears, claw trimming, teeth brushing and pole or hand injection training for big cats and bears. Gain an understanding of training methods used to train each behaviour. 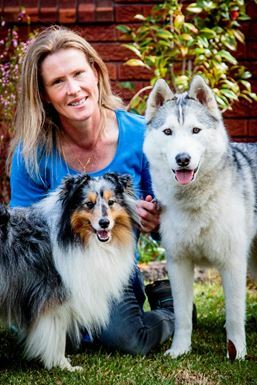 Louise Ginman PCT-A is a Delta Accredited and Professional Canine Trainer – Accredited Dog Behavioural Trainer who runs a dog training business ‘Positive Dogs’ in Sydney, Australia. She has served on APDT Australia committee since 2008 and been President since 2012. Louise also serves on the PPG Australia committee. Louise has several qualifications including a Bachelor of Science Degree and Certificate IV in Companion Animal Services. Louise has over 21 years’ experience with both domestic and exotic species in both a training and husbandry/management capacity. Louise worked as a veterinary nurse, dog and cat groomer and animal attendant in a busy and large practice in the Eastern Suburbs of Sydney for several years before moving to Taronga Zoo to work on the Carnivore Unit where she is the Unit Supervisor. Her role is varied and covers duties such as carnivore husbandry and management, animal training and enrichment, diets and nutrition, staff training and supervision, media work, conference presentations and other forms of public speaking, research, education and conservation work. Louise’s involvement with dogs and dog behaviour spans over 26 years. She currently is guardian of a Shetland Sheepdog and Siberian Husky and competes at both agility and obedience. Louise is author of ‘The art of introducing dogs. A guide to conducting dog to dog introductions’ (Balboa Press, 2013). Dogs have always been Louise’s passion and she continues today to educate people about living in harmony with their dog through her writing and pet dog training courses.